More resellers are showing an interest in managed print services (MPS) but there needs to be more attention paid to the security to make sure hardware is not vulnerable. A review of sales across Western Europe in Q4 from Context indicated that broadly the printer market was flat, with the timing of Christmas holidays having a negative impact on December sales. The analyst house also highlighted a trend towards MPS with more resellers looking to add those services to their portfolio. “According to the distribution channel, more and more resellers are looking at complimenting their offering by having an MPS proposition (partnering with vendors directly or indirectly, or through MPS dealers to support their business)”, said Antonio Talia, head of business analysts at Context. 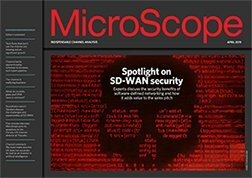 “However, vendors still need to expand their security assessment and monitoring services, along with partnering with traditional IT security providers, particularly in the area of threat intelligence to ensure that print security is treated with the same priority as the rest of the IT infrastructure," he added. There have been several moves over the past few months by those operating in the print world to add managed print to their options with Norwegian firm Asolvi buying up a couple of UK specialists to widen its footprint here and HPE buying Apogee, which itself had picked up several firms through acquisition. Although sales of printer hardware across Western Europe as a whole were flat at -0.1% in Q4 2018 but in the UK things were fairly rosy with 23.5% increase in units year-on-year and revenue improving by 7.3%. Breaking it down into product categories laser outperformed inkjet devices, up 4.1% and 1.7% respectively. Multifunction devices were up 2.2% but single function devices saw a 10.1% fall. Looking ahead to what this year will hold the expectation is that there are several things printer specialists can look out for as well as MPS. "Print and digital convergence will drive increased demand for integrated document workflow in 2019, and despite the rapid adoption of digital and mobile technologies, many businesses remain reliant on print to some extent," said Talia.